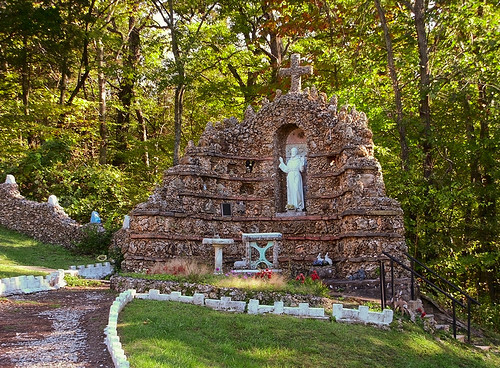 The Black Madonna Shrine and Grottos is located in rural Jefferson County, Missouri, about 35 highway miles or 45 minutes southwest of downtown Saint Louis. 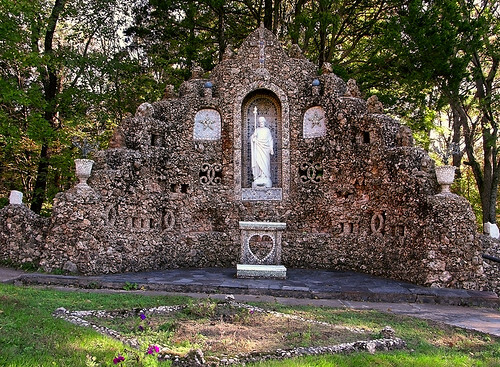 The shrine is operated by the Franciscan Missionary Brothers of the Sacred Heart of Jesus, who operate Saint Joseph's Hill infirmary on the same site. The brothers follow the Rule of Third Order Regular of Saint Francis; they are a lay and not a clerical or monastic order. 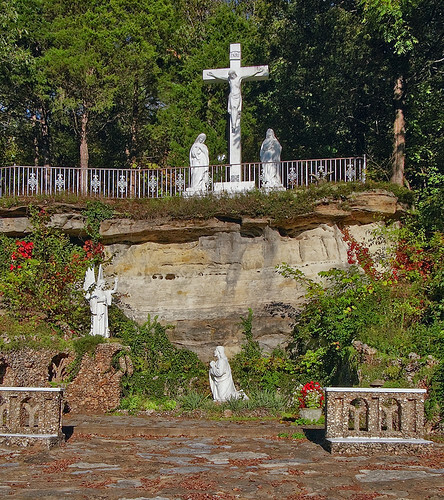 Here is the altar in the open-air "Chapel of the Hills", dating from the 1960s. 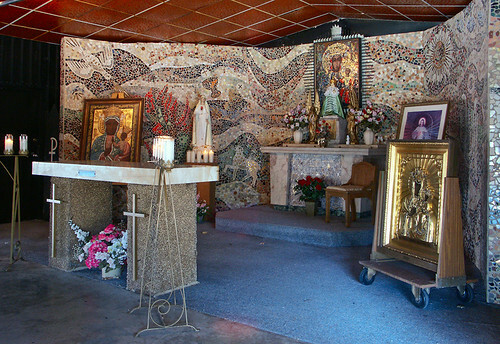 Behind the altar is a copy of the famous Our Lady of Czestochowa painting; it is also known as the "Black Madonna": Mary's olive compexion as painted was further darkened by centuries of candle smoke, incense, and soot from a major building fire. According to ancient legend, Mary sat for this portrait by Saint Luke the Evangelist at the request of the faithful, and is the prototype Byzantine icon. Notice that the painting has been richly "overdressed", and only the original face and hands are showing. The mosaics behind the altar include icons of Saint Helena, who brought the painting to Constantinople, the Blessed Virgin Mary, and Saint Luke; an Infant Jesus is over the tabernacle. 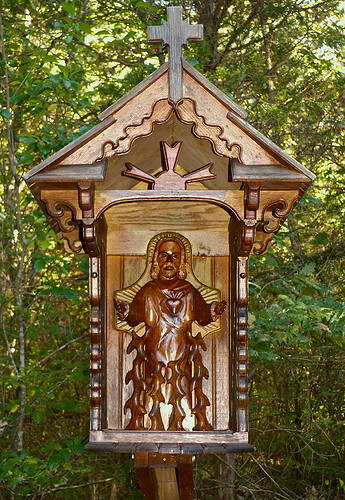 The Stations of the Cross, outside of the chapel. A close-up of a Station. 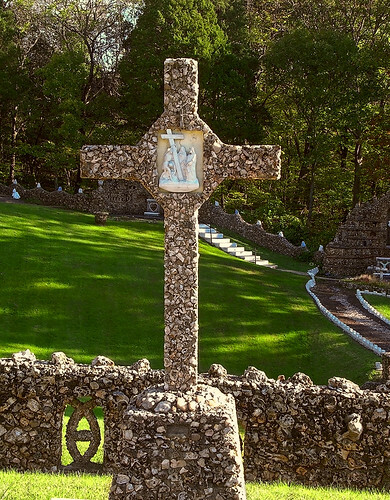 You can see some of the stone grottoes behind the cross. 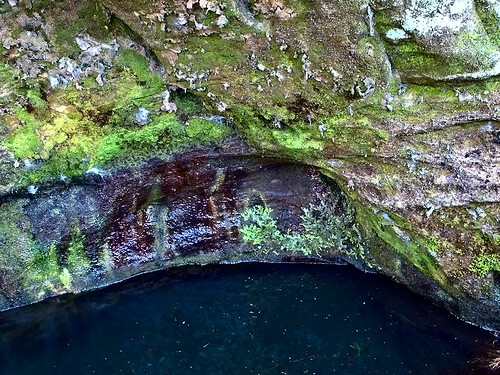 The grotto of Saint Francis of Assisi. 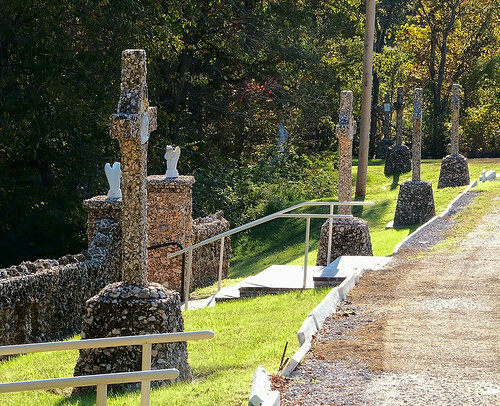 These stone grottoes were made by hand by Franciscan Brother Bronislaus Luszc of Poland, over the course of decades ending in 1960. They are made from tiff-rock, mined in Potosi, Missouri. 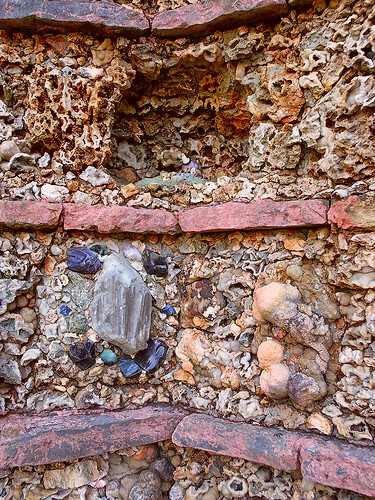 The rock is crystaline, and these photos do not give justice to these shrines. 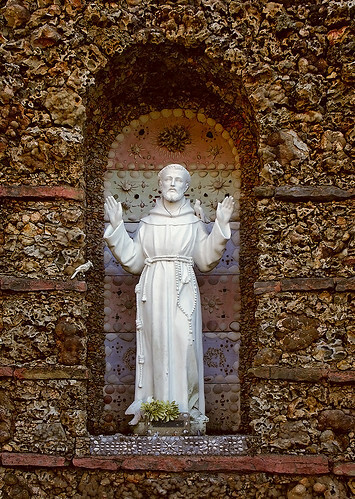 This particular grotto has decorative statues of birds and animals, which were much loved by Saint Francis. Click on any photo for a larger image. 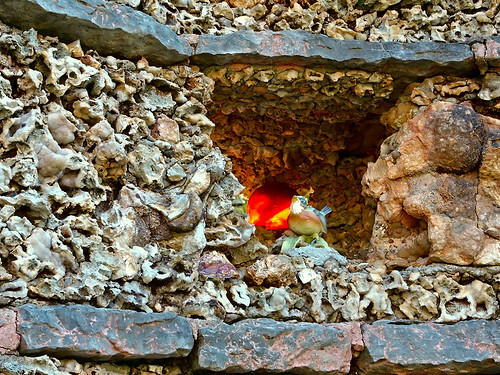 A detail from the Saint Francis grotto, showing a little bird. Agony in the Garden and Golgatha. The cross is visible for large distances during the winter, and was used as a landmark by lost hikers. Below the main shrine is a chapel in the woods, rediscovered in 1995. 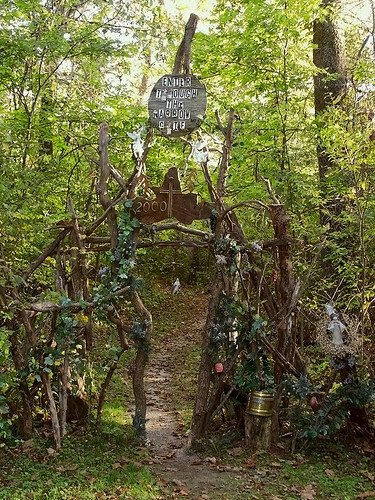 A long trail through the woods leads to the chapel, and many spiritual warning signs such as this are shown. 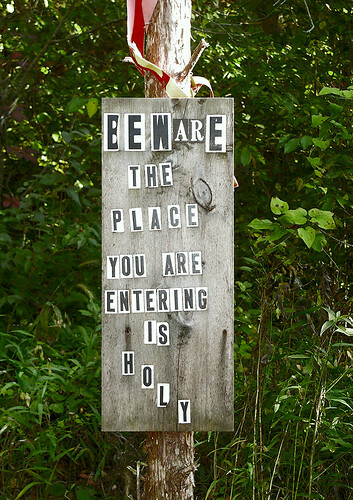 The sign reads: "BEWARE THE PLACE YOU ARE ENTERING IS HOLY". 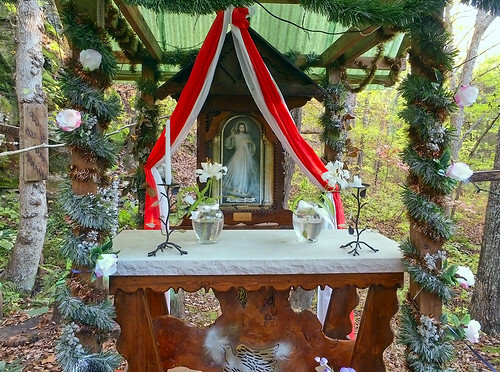 This forest chapel is very much in the Franciscan tradition, embracing extreme poverty, under the trees, and amid the sounds of forest birds and animals. Most everything in the forest chapel is made from bits and scraps of discarded objects. The chapel gate. The sign reads: "ENTER THROUGH THE NARROW GATE". I had to turn sideways to enter. The forest chapel. 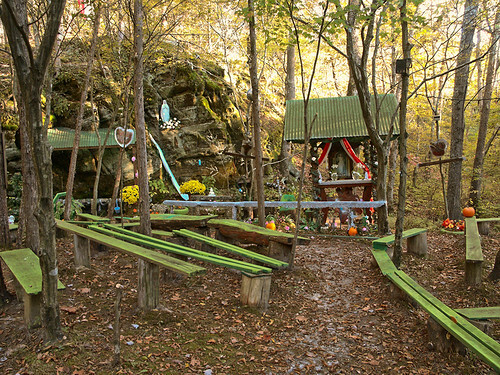 The altar is to the right, and a spring is to the left; both are covered with green fiberglass awnings. A close-up of the altar, with the Divine Mercy in the background. The flowers on the altar were fresh. 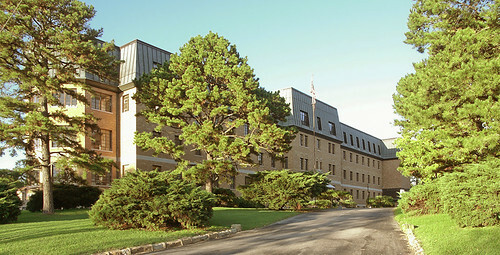 The corporal works of mercy of the brothers is done here, at Saint Joseph's Hill, a nursing home for elderly men, and also nearby in Eureka, Missouri, at Price Memorial nursing home. A chapel here has public Mass at 10:00 a.m. Sundays and Holidays. 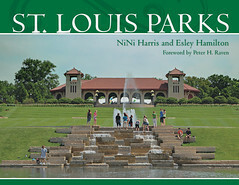 So beautiful and "quirky," would love to visit someday. 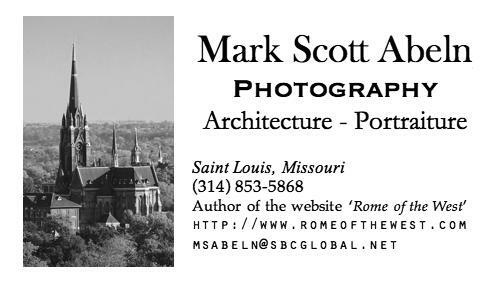 Thanks for the photos. We enjoyed our visit there last month, although it was hot. Brings back memories. 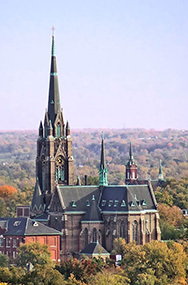 I was a Franciscan Brother with the Monastery from 1966 to 1973.